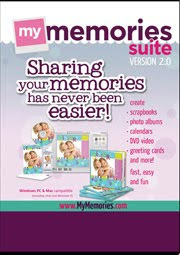 About My Memories Suite software: "An award winning digital scrapbook software that is extremely easy and fun to use. My Memories Suite is rated #1 by Amazon and TopTen Reviews. Using this software, anyone can create digital scrapbooks, photobooks, cards, calendars and gifts without having to buy expensive and complicated software programs." I've got an awesome (and really fun) giveaway for you! I have been given the wonderful opportunity to give away the entire My Memories Suite scrapbook software to one of my lucky readers! I'm very excited to have this giveaway, as I've been interested in digital scrapbooking for some time now. Disclaimer to my readers though - THIS IS ADDICTING! It is SO much fun to create scrapbook pages with My Memories Suite that you may find yourself giddy with all the possibilities! You can use their templates, or you can create your own. You can also download templates from the MyMemories website. The creative possibilities are endless! How: To enter, visit the My Memories website and then come back here and leave a comment telling me which is your favorite paper pack or layout. DON'T FORGET to make sure you leave a valid e-mail address for me to contact you if you win. If you don't have a blog/website, you can still enter - just leave your name and e-mail address along with your comment. If you do a blog post, Twitter tweet, or Facebook status update about this giveaway, you can get an extra entry for each that you do. Make sure you leave a separate comment and link for each entry you complete. Also, if you follow My Memories on any of the following links, you can get an extra entry for each that you do. Again - make sure you leave a separate comment and link for each entry you complete. When: The giveaway will close at 1 p.m. on Saturday, September 24, 2011 CST. 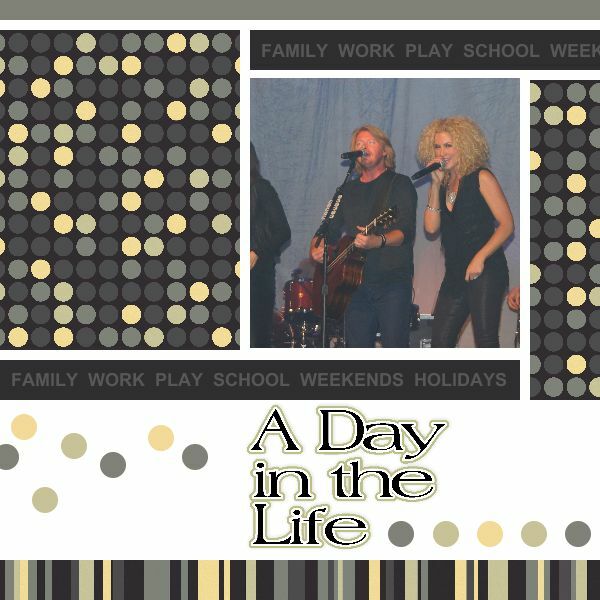 Then What: A winner will be chosen randomly and announced on Sunday, September 25, 2011. The winner will then be provided with instructions and code for downloading the software! Oh, and for those of you who just can't wait and want the software now... You can save $10 on the Memory Suite v2 software! Just use the code STMMMS4804!!! It does sound like fun, but if it is addicting, I don't need it. I've only recently recovered from my addiction to FreeCell (and you know how old that is). I'm sure someone will be thrilled to win it, though. I love the pretty in Pink pack. I could make tons of things with that set. This computer version could really rock! That is really cool, I will have to pop over and check it out. Great contest idea! So cute, I love so many of the layouts, but I guess some of the baby girl layouts the best since I have a granddaughter. :) I've already gotten way too absorbed looking at everything in their website... time to get some other things done, lol!!!! The Christmas one of course! LOVE Christmas!!! Thanks for the chance to win and for the inspirational blog. My favorite kit is Falling Magic Designer Pack...it is awesome!